New 2G-3G-4G gateway now available ! SIMBERRY, the vendor independent call termination specialist, announced today during the ITEXPO event taking place this week in Ft. Lauderdale, the worldwide release of its new iGATE 2G/3G/4GLTE mobile gateway dedicated to the Voice & SMS termination market. Smaller than ever (1U compact housing , 2G/3G/4G enabled), SIMBERRY takes the iGATE to a new level. Always SIM-free and managed centrally by the vGATE SIM Server, this new gateway addresses all market needs and GSM network technologies available. The new iGATE will next be presented at the GSM World Congress in Barcelona, Capacity Dubai and Capacity Rio to showcase this new technology around the world. As of today, the new iGATE is available and ready for delivery. Designed to maximize the profit and security of Call & SMS termination businesses, the new iGATE 2G/3G/4G is the logical extension to the full MySIMBERRY solutions offering. « SIMBERRY´s flexible commercial offering model makes it easy and affordable to enter a whole new era of Call Termination. Contact our team today for your personalized offer» appeals Thomas Sorgalla, VP Sales at SIMBERRY. During the public presentation made today, Laurent Manso, SIMBERRY’s CTO, said « Designed to be adapted to future market evolutions, the new gateway underlines our commitment to providing the highest quality, feature rich gateway available ». Shehryar Wahid, CEO at Centrix IP, SIMBERRY reseller and co-organizor of this launch event said « Congratulations to Simberry on the launch of this great step forward in mobile termination engineering ! The new iGATE is a milestone in the termination business. 15 years of market know-how and experience packed into a solid 1U housing, ready to address all today´s challenges in the call termination business. That is what the industry has been awaiting for some time and we already have customers ready to put it in service as soon as possible. ». SIMBERRY was founded in 2014 by a team of telecom industry experts, after purchasing both the GSM gateway and SIM Server technology (iGATE & vGATE) from TELES. Today, SIMBERRY not only continues to develop and provide Mobile Termination equipment, but has also developped a new and unique type of service. Feedback and the needs of our customers have helped make SIMBERRY’s Solutions (ShieldBerry, TopupBerry and HostBerry) the new, unique and safe way to run GSM termination business. These services are available on most hardware solutions on the market. SIMBERRY has offices in Europe, the United States and Central America. London, January 28th 2015 – SIMBERRY, the vendor independent call termination specialist, today announced the appointment of Laurent Manso as its CTO. In his role as the new Chief Technical Officer, Laurent Manso will be leading the R&D, customer service, presale and projects departments. Laurent has been working on business and applications development for GSM gateways since 2000, and is a well-known worldwide expert in the SIM server technologies market. He was a co-founder of iQsim, and held the position of CTO from 2009 until September 2014. During this time, he designed the IRON Suite SIM SERVER for Call and SMS solution while leading the pre-sales & projects teams. 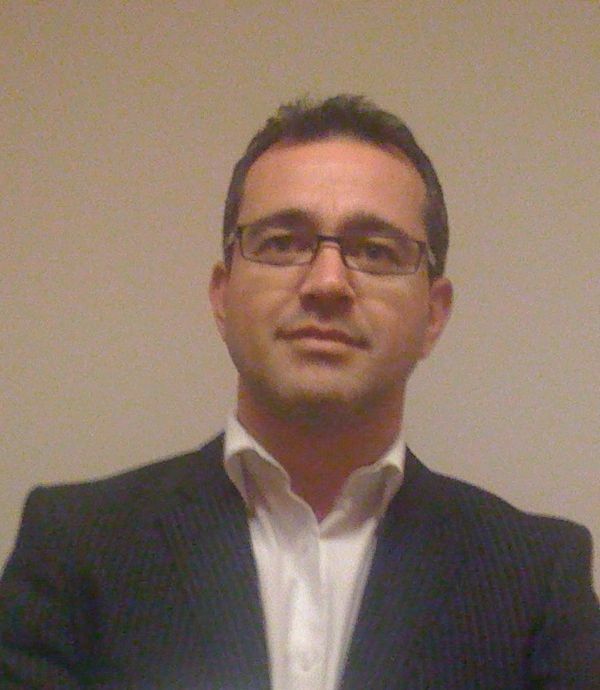 Laurent held the position of Director of Pre-sales & Projects at Quescom between 2000 and 2009, increasing all the necessary experience and know how over the Call Termination Market. Prior to his time at Quescom, he was a developer in the GSM-UMTS network department at Alcatel-Lucent. Laurent is a graduate of EHEI and has a masters degree in Information Systems. Thomas Sorgalla, SIMBERRY’s VP of Sales, stated on behalf of board members: “We are extremely happy and proud to win an industry expert such as Laurent Manso joining us in this new adventure. SIMBERRY and all the termination market will very much benefit from his broad experience and ideas. Laurent’s extensive knowledge and expertise in the call termination market will help SIMBERRY reach the next level on its way to become THE vendor independent solution provider for call termination business”.